from an early 1935 Nippy; the brown matches the wood dash. Just looking at the stitching I’d be surprised if this was professionally done. 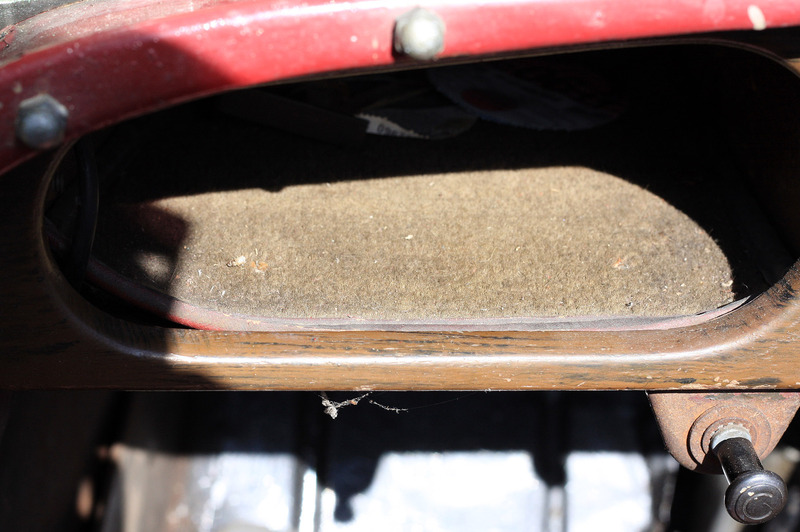 It makes sense in an open sports car not to have carpet that will soak up water, most seem to have rubber mats fitted. My guess is that these mats were owner made or fitted. It would be good to get a picture of any rubber mats you have seen. If they have some sort of border which could show they were designed specifically, even better for evidence. I’ve seen no original mats in type 65 or Nippy, the stitching quality on the carpet edge was my reasoning. Its up to my standard, that being amateurish.